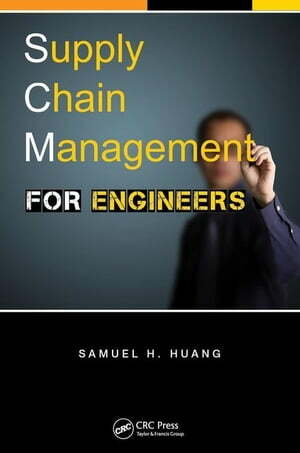 Collins Booksellers - Supply Chain Management for Engineers by Huang, Samuel H., 9781466568945. Buy this book online. Originally taught mainly in business schools, supply chain management has become a common elective and graduate course in engineering colleges. The increasing demand for engineers with supply chain knowledge has fed this shift. However, supply chain management textbooks that have a reasonable coverage of quantitative analysis techniques are few and far between. Concise, straightforward, and easy-to-read, Supply Chain Management for Engineers uses practical problems to introduce key concepts and cultivate students' problem-solving skills. Focusing on quantitative aspects, this book uses example problems to introduce key concepts and case studies to strengthen students' analysis and synthesis skills. In addition to exercises, this book also provides several problems that are relatively complicated and can be used as mini projects that link theoretical concepts to practical problem solving. It also presents a simulation game where students can play the roles of suppliers, OEMs, and retailers within a supply chain environment to practice the skills they acquire. It also stresses the importance of integrating engineering optimization techniques with business strategic thinking. These features and more give students the supply chain knowledge and problem-solving skills increasingly required for engineers entering the work force.